Created in 1958 in Saint Nazaire, SERIS, is a business 100% run by the Tempereau family, who has proven business acumen as strong human values. From the very beginning, SERIS group, answers to companies and governments growing needs in safety-security solutions. Internationnaly present, SERIS is from now on able to tackle deep changes of security challenges with ambition, dynamism, and efficiency. Driven by the aim of establish itself as a lasting presence globally in the security sector, working together Guy Tempereau and his children are adopting a policy for controlled and progressive growth. They rely on convinced, involved and professional teams, in each countries where SERIS is present. "Our long term vision coupled with our potential of very large investments enable us to innovate, to anticipate every new challenge that may arise and to succeed in our original goal of contributing to making our world a safer place." Mr Guy Tempereau, Chairman and Founding Shareholder of SERIS Group. 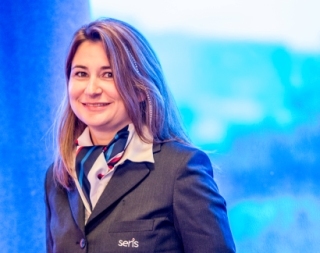 Today SERIS Group has more than 22000 employees throughout the world. Because men make value, efficiency and competitiveness of our company, we provide our staff optimal close support thanks to a strong skills, and careers management policy. Give sense to the work of the men and women who have chosen our business, is a priority in each subsidiary. Near its partner Amarante, SERIS Group has a 450 million euros turnover, exclusively in the safety-security business. SERIS-Amarante is french leader in worldwide security market and at the Top 10 of the world range of security companies. Through rigorous management, the SERIS group, 100 % owned by the TEMPEREAU family, has a perfect financial independence. The group, without debt rate on capital since 2013 is able follow its ambitions and to ensure a greater resilience.